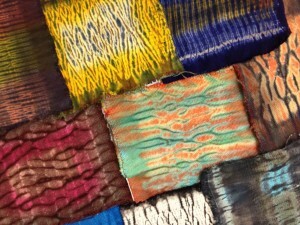 We just completed our fourth week of weaving and dyeing last night. 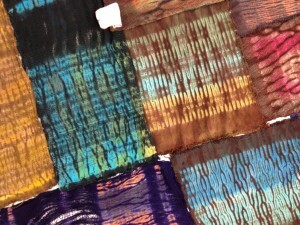 The beautiful surprises that come with Woven Shibori are revealing themselves. 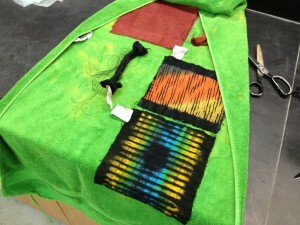 In the previous weeks, we used fiber reactive dyes for the first and second rounds of dyeing. While the colors are spectacular, the price we pay is rinsing and more rinsing. 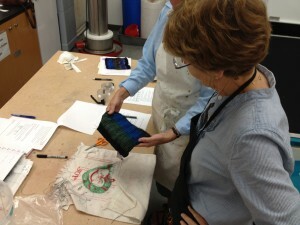 We went to NC State University to use the dye lab to experiment with Vat dyes. 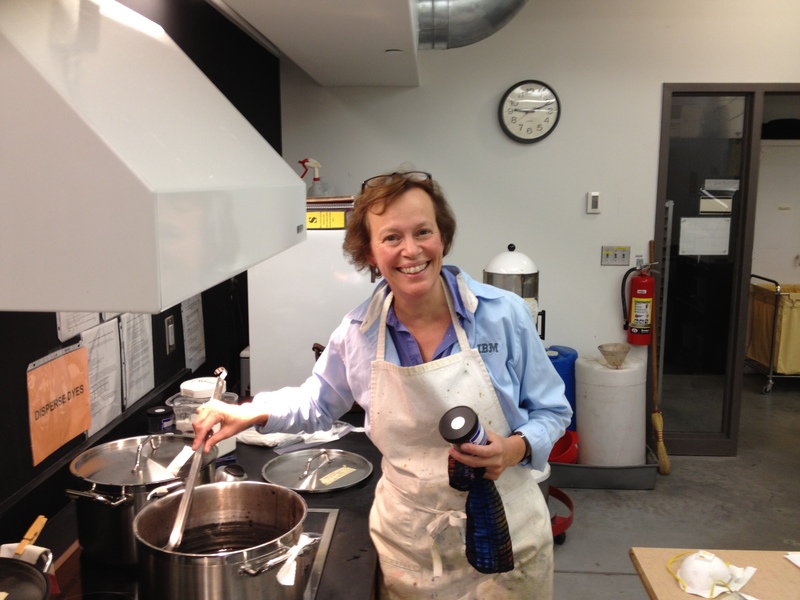 The beauty of vat dyes is that they take the color quick and rinse quick. Here you can see Patties tied bundle after it came out of the vat dye. 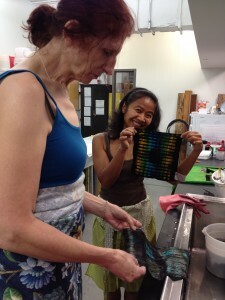 Her other samples were all done in the Mx fiber reactive dye. My personal favorite is the fiber reactive dyes as the base color, painted on before the threads are pulled and then vat dye the tied bundle. And now for a demonstration! !